AARON ROSE... 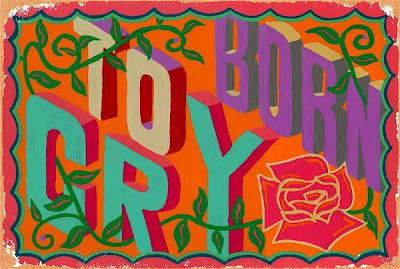 The man who brought us BEAUTIFUL LOSERS which featured the likes of BARRY MCGEE, ESPO, SHEPARD FAIREY, THOMAS CAMPBELL, ED TEMPLETON, MARGARET KILGALLEN and more... Has a solo show called 'Born To Cry' at HOPE GALLERY in Los Angeles, California... I wish I could say I'd be making it out to see the show but I'll more likely be in Asda, Bedminster, Bristol... Anyway, the show looks great and is in a gallery almost as small as ours! !